Children will challenge to keep steering this beads along the train bead maze until the end of the maze. 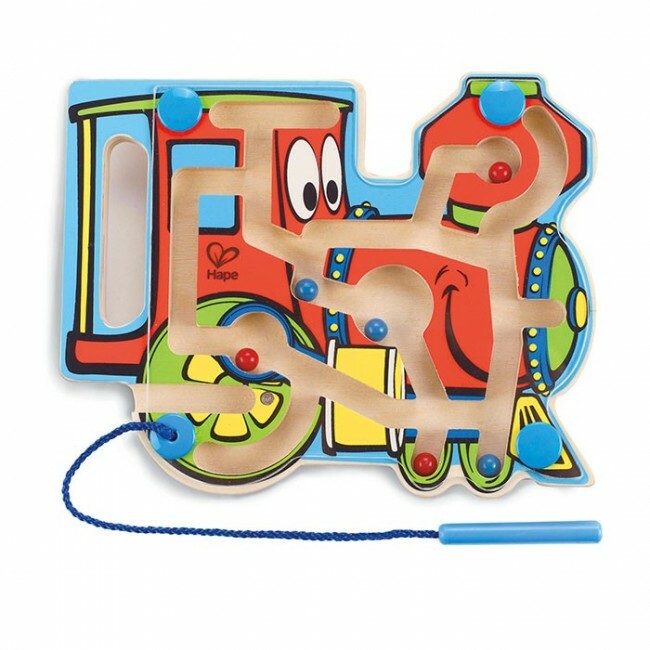 Hape Choo Choo Tracks Maze is specially designed for young children and making the toy great for travel, easy to bring everywhere. - Measures 19.4 H x 15.6 cm W.
- Helps development of hand-eye coordination, problem solving and fine motor skills. - Recommended for 2 years+.